Show your Harley-Davidson enthusiasm with an officially licensed Harley-Davidson Steering Wheel Cover. This high quality steering wheel cover looks like black leather and easily slips onto your steering wheel. Keeps your hands cool in the summer and warm in the winter. 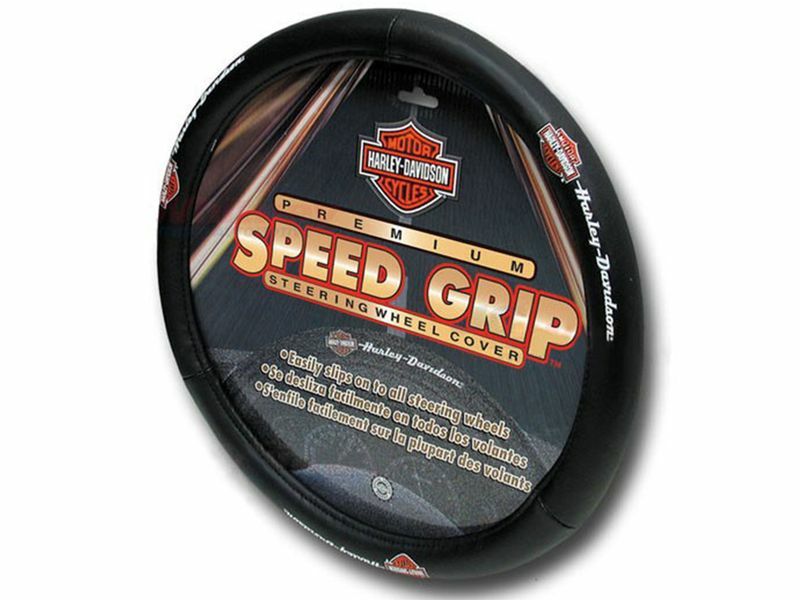 Ultimately gives your vehicle some Harley attitude and your hands comfort. Universal fits for virtually all cars, pickup trucks, sport utility vehicles and mini vans. All Plasticolor products are warranted for a 12 month timeframe from the date of purchase relating to issues involving the material and manufacturer defects. Issues involving normal wear and tear of these products are excluded from the warranty. Please call us at 1-877-216-5446 for more information.